Matt LeBlanc's "Man With A Plan" is one of many shows on the bubble. NBC still hasn't confirmed that "The Voice" will be back. Word is expected Monday, when NBC reveals its 2018-19 TV season lineup. Many shows are on the bubble: "Gotham," "blackish," "Designated Survivor," "The Blacklist," "Brooklyn Nine-Nine," "Last Man On Earth," "Kevin Can Wait," "Man With A Plan," "Scorpion," "Speechless," "Instinct," "Code Black," "LA to Vegas" and "The Mick." 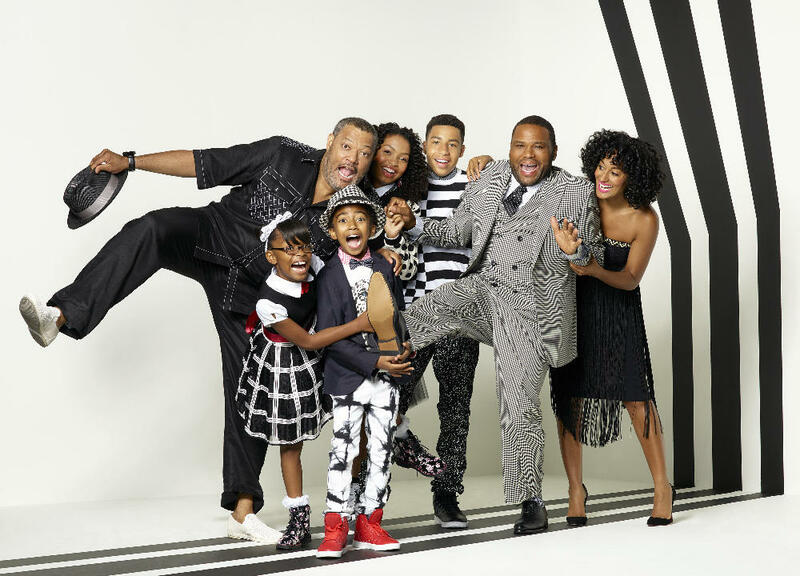 ABC's "blackish" finished taping its third season without knowing its fate. Jennifer Lopez's "Shades of Blue" ends this summer. RENEWED: "America’s Got Talent, "AP Bio," "Chicago Fire," "Chicago Med," Chicago "P.D.," "Days of Our Lives," "Ellen's Game of Games," "Good Girls," "The Good Place," "Hollywood Game Night," "Law & Order: SVU," "Midnight, Texas," "Superstore," "This Is Us," "The Wall," "Will & Grace." GONERS: "Shades of Blue" (final season starts June 17), "The Night Shift." RENEWED: "The Orville," "The Simpsons," "Empire," "The Resident," "9-1-1," "The Four: Battle for Stardom," "The Gifted," "Hell's Kitchen," "So You Think You Can Dance." 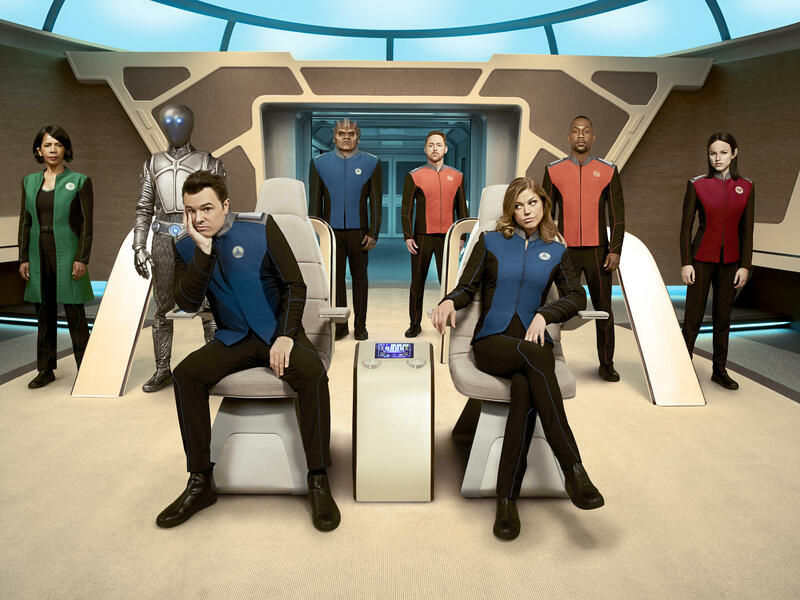 Fox has renewed "The Orville" created by and starring Seth MacFarlane (front left). RENEWED: "American Idol," "The $100,000 Pyramid," "America’s Funniest Home Videos," "The Bachelor," "Celebrity Family Feud," "Child Support," "Dancing with the Stars," "The Goldbergs," ""The Gong Show," "The Good Doctor," "Grey's Anatomy," "Match Game," "Modern Family," "Roseanne." GONERS: "The Middle" (series finale May 22), "Scandal," "The Mayor," "Once Upon A Time," "Ten Days in the Valley." 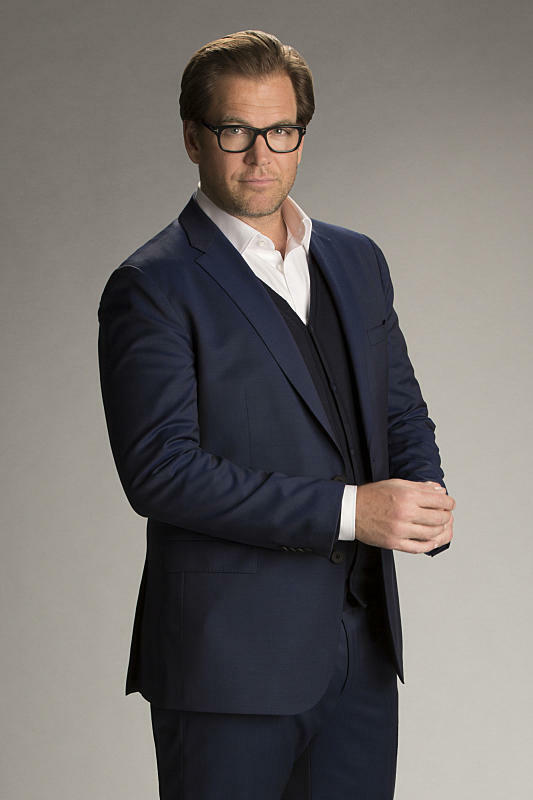 Michael Weatherly stars in CBS' "Bull." RENWED: "60 Minutes," "48 Hours," "The Amazing Race," "Big Bang Theory," "Big Brother," "Bull," "Blue Bloods," "Hawaii Five-O," "MacGyver," "Madam Secretary," "Mom," "NCIS," "NCIS: Los Angeles," "NCIS: New Orleans," "The Price Is Right," "Salvation," "SEAL Team," "Survivor," "SWAT," "The Young and the Restless," "Young Sheldon." GONERS: "Living Biblically," "Me, Myself & I," "Wisdom of the Crowd," "Zoo." RENEWED: "The 100," "Arrow," "Black Lightning," "Crazy Ex-Girlfriend," "Dynasty," "The Flash," "Jane the Virgin," "Legends of Tomorrow," "Masters of Illusion," "Penn & Teller: Fool Us," "Riverdale," "Supergirl," "Supernatural," "Whose Line Is It Anyway?" RENEWED: "Live! With Kelly and Ryan," "Steve" (Harvey), "The Real," "Wendy Williams Show," "Who Wants To Be A Millionaire," "Page Six," "The Real." GONERS: "Harry" starring Harry Connick Jr.